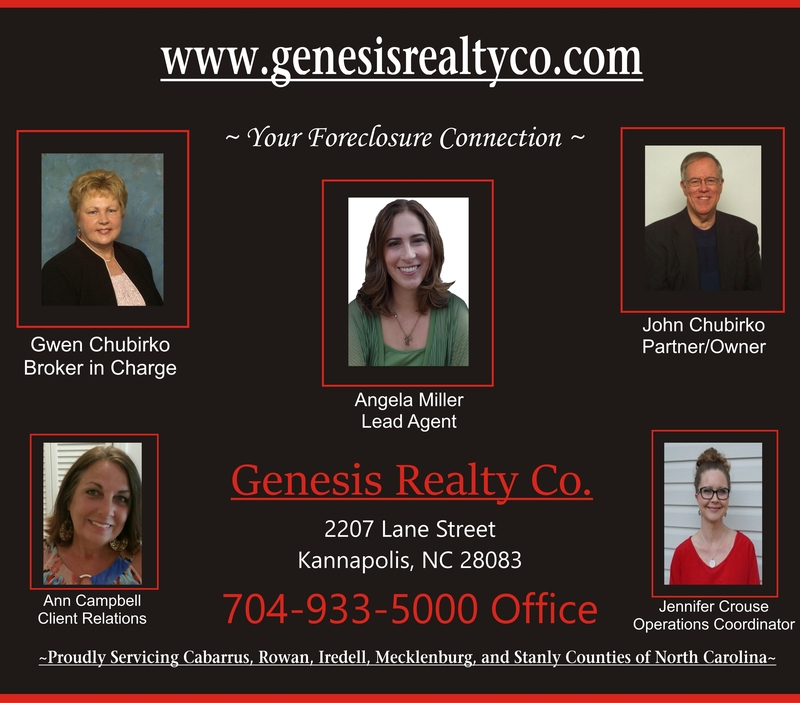 Kannapolis Homes for Sale, Property Search in Kannapolis. Welcome To Genesis Realty Co. I have had over 30 years experience as a real estate agent. For many years, I managed the properties that went into foreclosure for the Dept of Veteran Affairs for 34 of the 100 counties in North Carolina. This gave me a vast knowledge of property management, REO sales, obtaining bids for repairs and an overall experience in buying and selling real estate. I was not a " Johnny Come Lately" in REO when the economy crashed in 2008. By that time, I had many years experience in working REO,buying and flipping houses, and working with buyers and sellers in a several county area. We are still listing and selling houses in Mecklenburg, Cabarrus, Iredell, Rowan, Davidson, Catawba, Lincoln, Alexander and Stanly Counties. Give us a call. WE WILL TAKE GOOD CARE OF YOU!